Our Residential Golf Schools are the perfect way for you to improve your game or learn to play in a fun, informal setting while enjoying a relaxing break in delightful Woodhall Spa. Our schools, managed by an approachable and experienced team of qualified PGA Professionals, give you access to state-of-the-art coaching and practice facilities, including the best short game area in Europe. You will also enjoy the unforgettable experience of a round on the magnificent Hotchkin Course, ranked among the World’s Top 100 Golf Courses. Whatever your age or ability, you are warmly welcomed on our Golf School, with a choice of local accommodation and excellent restaurants to help make your stay even more memorable. You can choose from a one or two-day programme, each of which is relaxed yet professionally structured to ensure you enjoy the maximum benefit from your time with us. Your needs come first and you will receive as much one-to-one tuition as possible from our coaching team. 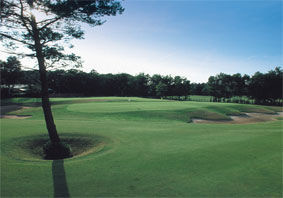 Each Residential Golf School has a limit of eight visitors per group. At the end of the two-day school, you will be presented with your own personally tailored coaching plan that you can work on at your leisure – to ensure your game continues to improve after your stay with us is over. £199.00 For school, club and college junior groups. Golf and tuition Junior group packages also from £60.00. Long and Short Game Coaching and 9 holes with PGA qualified professional Scott Emery. This intensive Golf School is aimed at mid to lower handicaps with the objective of improving techniques and gaining knowledge of long and short games. Emphasis is put on the scoring areas (chipping, pitching, putting, bunkers) a vital aspect in lowering your handicap and scores. For further details please call Scott Emery 07718 749029. With a PGA professional, instinctive golf coach, England & Great Britain international and European Tour player Alison Johns. If you believe your swing to be sound but your scoring does not reflect your ball striking, this is the perfect programme for you. Let our short game instructor Alison educate you in the finer points of pitching, chipping, putting and bunker play and around the green special shots. The student/teacher ratio in this class is 6:1. Alison’s proven technique and unique approach will help both the experienced player and novice golfer execute the short game to truly lower your scores. If you can’t beat them, join them! If you’re a lady whose husband or partner seems to spend all his time playing golf – then why not get involved yourself? 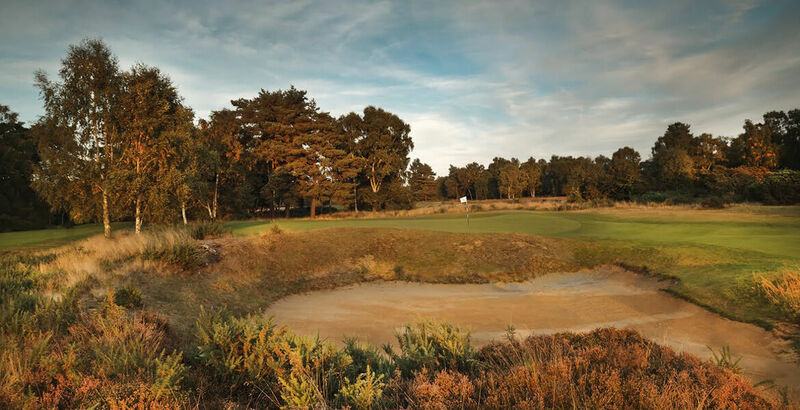 Here at Woodhall Spa, we are delighted to offer our one-day ladies-only coaching sessions – designed exclusively for women as an introduction to golf or as a refresher on the basic skills. The school is taken by Alison Johns, one of our PGA Professionals and a top Great Britain International and European Tour player. Fun is the key with Alison’s ever-popular sessions that are held in a relaxed atmosphere. You will be taken, in easy-to-understand steps, through the fundamentals of the grip, stance, alignment and swing together with key tips to boost your short game – all designed to get your game ready for the course. To ensure you get the best possible tuition, places on each school are limited to six. Also included in our great, value-for-money package, is golf-club hire, and a delicious lunch in our splendid and relaxing clubhouse. Alison’s golf school has proved so popular that many ladies have gone on to join the Club. So don’t delay… sign up for a session today. Ten cadets, with handicaps ranging from 3 to 13, took part in the ‘England Golf Experience’ three day residential course run by the professionals at Woodhall Spa. Head Professional Neil Harvey, together with fellow professionals Alison Johns and Scott Emery, spent the time evaluating the cadets on the golf course, instructing them in short game, physical profiling, psychology, course management and organisational skills and generally encouraging them in every aspect of their game. The professionalism, encouragement and support of all three professionals made the course a fantastic experience for the cadets who have all asked to return next year.